After breakfast, start coach & walking tour around Belgrade, capital that is well known for its different architectural styles, dynamic history and fantastic views of the biggest river confluence in the whole Europe. Start the tour visiting Saint Sava Temple, symbol and patron of Belgrade, impressive building that can be seen from any part of the capital. After a short break at the Temple’s plateau, panoramic tour will go on to Slavija Square, Saint Mark’s Church, Serbian National Parliament and President’s residency, all to the Republic Square, most central point of Belgrade that is surrounded by cultural artistic institutions, the National Theatre and National Museum. Go on with a walking tour through lively Knez Mihailo Street, main walking and shopping zone, and visit the Congregational Church, just across the building of Serbian Patriarchy. Hear great stories about “Question Mark – ?”, the oldest tavern in the city, and continue to Kalemegdan Park and Belgrade Fortress, the most important cultural-historic complex of the city, situated on the confluence of the rivers Sava and Danube. Breakfast. Today you will explore most interesting sights of Vojvodina, Serbian Northern Province. First stop on your tour will be Novi Sad, the city that is proclaimed to be European capital of culture in 2021. In this multi-cultural city, famous as the host of EXIT, the biggest musical festival in south-eastern Europe, you’ll see Dunavska and Zmaj Jovina Street that compose city’s pedestrian zone, the City Hall, Catholic Church, old city center, house of Albert Einstein’s wife Mileva, cultural foundation Matica Srpska and Synagogue. Then you’ll follow to the right bank of Danube and visit Petrovaradin, so-called Danube’s Gibraltar, where the Fortress is located. On the place where you can enjoy wonderful view of Danube and Novi Sad panorama, you will have a time to take a lunch in wonderful ambience. 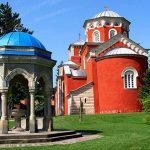 Subotica – the city of Secession, cultural heritage and multicultural spirit, presents a must-see during your trip to Serbia. Located in Pannonian basin, at the border with Hungary, Subotica is proud of its City Hall, one of the most beautiful buildings in Vojvodina. Beside City Hall, you’ll feel charm of the city meeting other important sites, like Freedom Square, National Theater – the first monumental public building in Subotica, Serbian Orthodox Church of Holy Ascension, Subotica’s Synagogue, City Museum and others. Drive to Budapest. Check into the hotel. At your accommodation, or in nearby local restaurant, you will be served with the dinner. After breakfast, start coach & walking tour around Budapest. With a unique, youthful atmosphere, a world-class classical music scene as well as a pulsating night life and, last but not least, an exceptionally rich offering of natural thermal baths, Budapest is one of Europe’s most delightful and enjoyable cities. Due to its scenic setting and its architecture it is nicknamed “Paris of the East”. Thanks to the cultural and architectural significance, the Banks of the Danube, the Buda Castle Quarter and Andrássy Avenue were added to the UNESCO World Heritage List. Budapest sightseeing tour will show you major attractions of the city: Chain Bridge, Margaret Bridge, Castle District with Matiass Church, Fishermen’s Bastion – with the beautiful panorama, Gellért Hill (Citadel) with the most spectacular view of Budapest, Elisabeth Bridge, Central Market Hall – followed by the largest Synagogue in Europe and the City Park, Heroes’ Square – with statues of the most famous Hungarian kings and dukes, Opera House and the St Stephen’s Basilica, House of Parliament and many others. Optional Tour: Danube Cruise – Experience the beautiful sights of Budapest from other perspective, during a two hour cruise along the Danube River. On board you can enjoy Champagne and wine, with the option of a traditional Hungarian dinner. Breakfast. Drive to Parndorf – a shopper’s paradise. Find your favorite designer brands at up to 70% discount, all year round. Shopping village is inspired by traditional Austrian architecture and, with cafes and restaurants, it consists of more than 160 boutiques. From iconic fashion brands like Prada, Armani, Bally and Gucci to sporting labels, like Nike and Adidas, and high-street favorites, like Guess, Diesel and Desigual, you can find everything that you are looking for. Visiting Vienna is an architectural dream! You can’t be indifferent and unamazed at the sheer scale and beauty of some of Vienna’s most iconic landmarks. Sightseeing tour starts with buildings and attractions within Ringstrasse, which are excellent examples of 16th and 17th century architecture. After passing old university, your view will be stuck to Vienna City Hall, building in the neo-Gothic style. The Parliament building, Burgtheater, Naturhistorisches Museum with Kunsthistorisches Museum and Hofburg – Imperial Palace give you the impression that you are traveling through history. Walking around main pedestrian street will show you newer and renovate part of Vienna, before you reach St Stephens Cathedral, the most important Gothic structure in Austria. Continuing the street from Stephenplatz, right after Hotel Sacher and famous Albertina museum, you will tumble into the impressive Vienna State Opera, considered one of the most important Opera houses in the world and the home of the famous “Opera Ball”. In the afternoon and evening, use your free time to meet other Vienna sights, visit some of its great museums or to try famous Vienna schnitzel and other original specialties in one of traditional restaurants. Breakfast. Start the day with a visit to astonishing Schönbrunn Palace, one of the most important architectural and historical monuments in all of Austria, listed as UNESCO World Heritage Site. The history of the palace and its gardens spans over 300 years and reflects the changing tastes and aspirations of Austria’s monarchy. While you are visiting former imperial summer residence you will feel how the imperial family once lived. At the end of the tour, you will have a time to take a stroll through the palace labyrinth gardens or to enjoy a cup of original Viennese coffee and a piece of delicious apple strudel. In the afternoon, Bratislava is waiting for you. Start the tour with a visit to the most important places and historic sights of the city, such as the Presidential Palace, Eurovea – the modern city center, the National Theatre, Art Nouveau church and others. Photo stop at Bratislava Castle and the Slavín memorial to memorize fantastic panoramic views. 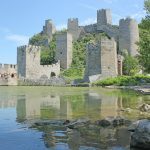 The tour continues with a drive along the Danube to the magnificent ruins of the Devín Castle which has been an ancient stronghold of Celts, Romans and Slavs and important noble seat until it was blown up by Napoleon’s troops. Drive to Prague. Check into the hotel. Breakfast. Prague – European city of culture, “the golden city” or “city of a hundred towers” is a magical city of bridges, cathedrals, gold towers and church domes, situated on the river Vltava. It has the best preserved medieval town center in Europe and all the attributes of one of the most modern European cities. Start your sightseeing at Prague Castle – Pražský hrad, the most popular attraction and officially the largest ancient castle in the world. Within its walls lies a varied and fascinating collection of historic buildings, museums and galleries. Listen interesting stories and walk around St Vitus Cathedral, Old Royal Palace, Basilica of St George and other historical gems inside the walls. Before heading down to the old city, you will stop at two points with amazing view over Prague. Bellow the castle, cross amazing Charles Bridge and feel like you are in a medieval storybook. Wander through small streets of the old town and meet Prague’s charm until you arrive to Old town Square, location of the Town Hall and Astronomical Clock, one of the oldest clocks in the world and symbol of Prague. Optional Tour: Vltava Cruise with dinner – Sip a glass of Moravian plum brandy, sit back, relax and enjoy the views of illuminated Prague attractions. In 3 hours of leisure cruise, feel the magic of Prague by night and taste different Czech specialties throughout delicious buffet dinner. Breakfast. Drive to Regensburg, one of the top 10 sights and travel attractions in Germany. The medieval center of the city is a UNESCO World Heritage Site and a testimony of the city’s status as cultural center of southern Germany in the Middle Ages. The old stone bridge over the Danube, the cathedral and Krauterermarkt square with the Collegiate Church of St. John, the Cathedral Treasury Museum, the city house ‘Heuport’ and the historic Adler Pharmacy are Regensburg’s most significant architectural monuments. Evening is reserved for Munich, famous for its beautiful architecture, fine culture, and the annual Oktoberfest beer celebration. Germany’s unofficial southern capital, proud by its pretzels, BMW and football club Bayern Munich, is considered as the most livable city in Germany. Walking the center of the city you will see some world-class sights and typical Munich architecture with alpine influence. Sights on your tour: Pinakotheken art museums, the world famous Hofbrauhaus, the National Theater with the Royal Palace, Marienplatz and the Viktualien market with its colorful outdoor stalls and many others. Hotel check-in and overnight. Breakfast. Continue your journey by visiting Salzburg, a cultural hub of Austria, famous as the birthplace of Wolfgang Amadeus Mozart. Its picturesque old town with its world famous baroque architecture is one of the best-preserved city centers in the German-speaking world and is listed as a UNESCO World Heritage Site. Take relaxing walk with your guide, listen unheard stories and see Mirabell Gardens, Mozarteum – music academy, Marionette and Regional Theatre, Markart Square, Blasius Church, Mozarts Square… Don’t waste your time and take a walk along the Salzach River or climb up to the Hohensalzburg fortress, or try and buy world popular Mozartkugeln, chocolate-covered marzipan candy balls inspired by the famous composer, Salzburg’s most famous son, Mozart. Next stop in Austria will be breath-taking village of Hallstatt. With pastel-colored houses that cast shimmering reflections onto the glassy waters of the lake and with towering mountains on all sides, Hallstatt’s beauty alone would be enough to guarantee it fame. Boats chug tranquilly across the lake from the train station to the village, situated precariously on a narrow stretch of land between mountain and shore. Until the 19th century the beautiful Austrian village of Hallstatt was accessible only by boat or mountain trail. 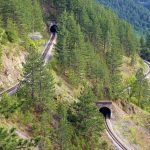 Today this beautiful village is easily accessible and willing to show its main attractions: Kalvarienberg Church, Market Square, Archaeological artifacts, Hallstatt Museum, The Charnel House in Michael’s Chapel with 1200 skulls and others. Small Austrian tour will be finished with an evening visit to Villach, second largest Austrian city that is well known by its legendary carnival. Surrounded by spectacular mountain scenery, close to one of the crossroads of central Europe, the city attracts many visitors. In this so-called walker’s paradise you will see Villach Main Square with Trinity Column, Holy Cross Church, Parish Church of St. Jacob and many others. Because of late arrival and check-in, at your accommodation, or in nearby local restaurant, you will be served with the dinner. Breakfast. Start Slovenia daily tour with a visit to Bled. This Alpine lake with its beautiful island (the most photographed sight of Slovenia) has been a world-renowned paradise for centuries, impressing visitors with its natural beauty, wealth of legend, and special powers that helps to restore well-being. Taste a widely known Bled cream cake and rest your soul looking at the picture-postcard in front of you – emerald green mountain lake that is decorated with island and a church in the center of it, and a medieval castle on a rocky cliff, which reflects in the lake in order to complete this lifelong memory. Proceed to Ljubljana, the fairytale-like capital of Slovenia which boasts a real charm and a great cultural scene. Guided tour will take you along the riverfront to city’s beautiful cultural monuments – the Cathedral of St. Nicholas, Baroque Town Hall, Medieval Square “Mestni Trg” and Robba’s Fountain, as well as the picturesque Central open-air market and the Triple Bridge. In Ljubljana you can use free time to get a lunch at the romantic bank of Ljubljanica River. On your way to another capital, Zagreb, you’ll make a stop at Otočec castle. A jewel rising above misty Krka River is the only water castle in Slovenia and the vicinity. Short break in Otočec will definitely refresh you. Drive to Zagreb. Breakfast. Zagreb – small gem of European culture and civilization, located in the heart of the continent. Sightseeing tour around Zagreb will show you all main Zagreb’s sights: Kaptol (the medieval part of Zagreb), the Franciscan Monastery and the Church of St. Francis from the 13th century. You’ll walk around farmer’s market called Dolac, and visit Baroque Church of St. Mary from the 18th century. The tour will end in the heart of Zagreb, at Ban Josip Jelačić’s monument on the square called after him. Free time to explore Zagreb on your own or to take a lunch in one of the traditional restaurants located in the center of city. On your way to Belgrade you will visit Fashion Park Outlet – the biggest retail shopping center in Serbia, which daily offers famous global brands at 30 to 70% discount prices. Top quality footwear, apparel, jeans and fashion accessories, along with selected restaurants, cafés and amusement park, is waiting for you in selected 65 branded stores. Try out world-famous fashion brands and buy clothes with great discounts! This is your last chance for shopping in this tour, right before you return back to your home. Arrival in Belgrade. Breakfast and check-out. Depending of the time of departure, use your free time and explore Belgrade sights that you missed in the first two days of the tour. Transfer to the Airport. End of services.